I very rarely hear people refer to the “World Wide Web” anymore. In the ‘90s we were obsessed with sites like Yahoo, the burgeoning idea of e-commerce, and “going online” to use AOL to email friends in faraway places. The Internet is truly worldwide and has connected—and greatly impacted—countries and economies in multiple ways, from access to information to entire businesses built purely online. 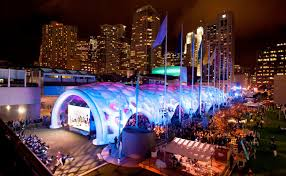 “Inspiration in the Nation” was Marketo’s theme for the 2015 Summit, and wow, did they deliver! From the early morning fun run, to educational sessions, happy hour networking, and inspiring speakers, kudos to Marketo for putting on a phenomenal user conference. 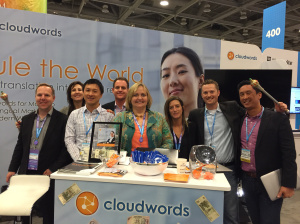 Cloudwords would like to thank both our customers and new friends for stopping by our booth to say hello. 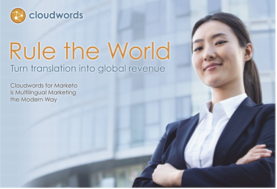 1) If you use Marketo and need to localize content and campaigns for international markets, Cloudwords is the ONLY technology integrated with Marketo for automated translation. Trust me, you will be amazed at how much easier the translation process is when all you have to do is “click” to move content from Marketo, into Cloudwords and off to your preferred translation vendor. Our cloud-based software empowers organizations to go global faster, engage multilingual audiences more efficiently, and generate increased demand and revenue in less time. Copyright ©2019 Cloudwords, Inc. All Rights Reserved.